While The Good Youth took them further than ever before, the bottom eventually fell out for Blitz Kids, leading to their breakup in mid-2015. From those ashes, drummer Matt Freer, bassist Nic Montgomery and guitarist Jono Yates (also now on vocals) have regrouped to form a new band Away Days, and this debut EP seems to be the beginning of another fruitful career. Whereas The Good Youth‘s more synthetic leanings could sometimes feel a bit wishy-washy, these four tracks are the complete antidote to that. It’s a much more natural, organic-feeling project this time around, opting for a sound akin to that of mid-2000s emo. What’s more, that same earnestness and blue-collar emotion is a constant factor across this EP – Through The Night shows the best possible result of substance over flash with its glimmering Jimmy Eat World-style guitars, and Messiah is so simple but so effective in its rich, full sound, as well as showing Yates to be a surprisingly competent vocalist. 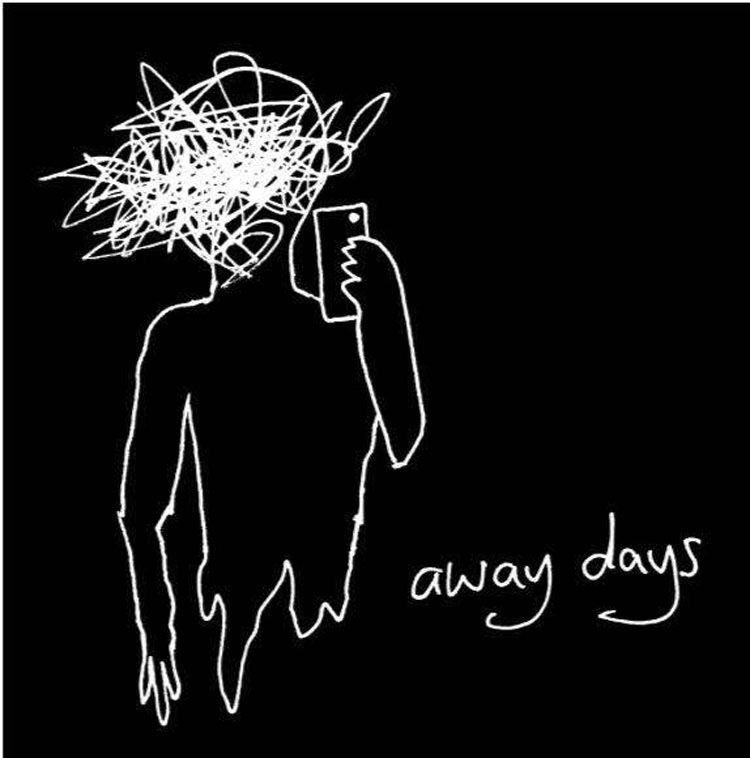 As well as being great musically, Away Days also show their knack on this EP for getting across some heavy subject matter, but making it seem accessible in the process. While the poignant melancholy and sweet acoustic guitar of closer I Look Alright (But I’m Not) makes its heart-on-sleeve declarations fairly overt (though doing so in a truly excellent manner), Give Me My Life Back is far more strident in its execution, feeling much more uplifting and anthemic in its exorcising. It’s captivating stuff and powerful as hell, and puts Away Days already streets ahead of their peers. With this new project, there’s a very real chance that Jono, Nic and Matt could be even bigger than their previous outfit, especially in the current climate. This EP is everything great about modern British rock – it’s punchy, earthy and most importantly, it has heart by the bucketload. It exceeds in every area that Blitz Kids stumbled, making for a true gem of an EP. ‘Away Days’ by Away Days is out now on Speaking Tongues.